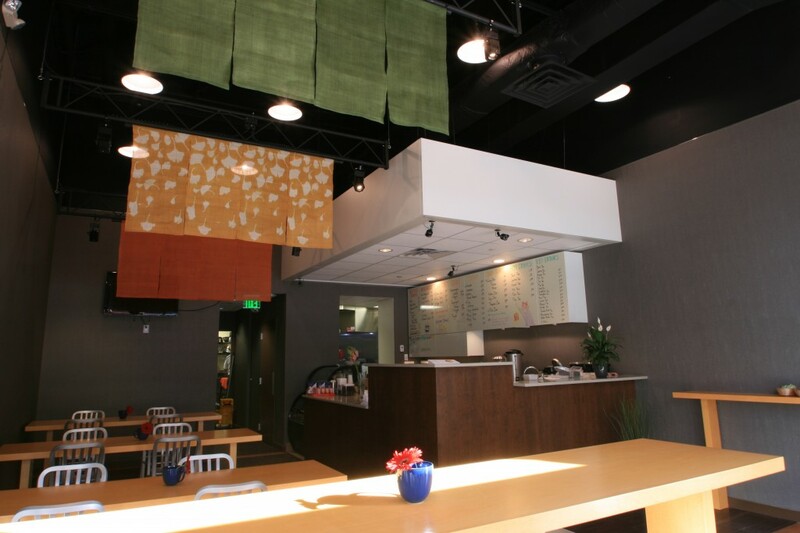 Interior design of the Japan-inspired Café. Depth of the space and connection with nature are two of fundamental spatial concepts of Japan. Both are materialized here by introducing layers (: striped patterns) formed by various elements: Noren banners, line lightings, long linear tables, and patterned floors. 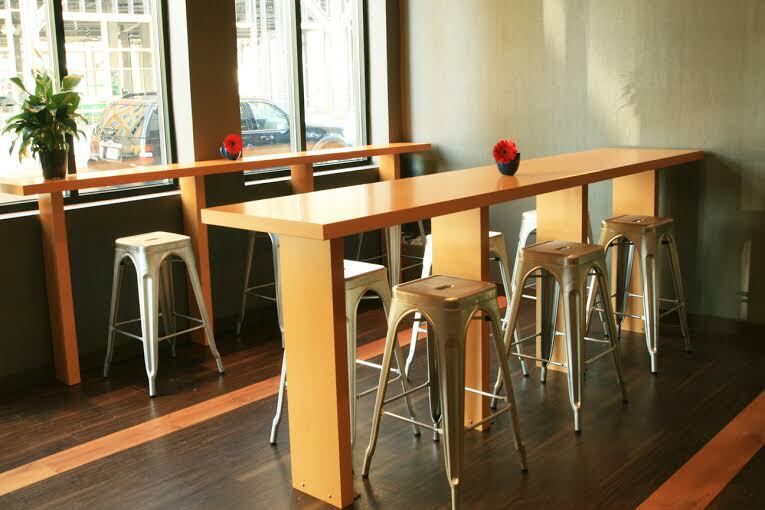 The space is modern, casual, with a touch of tradition. 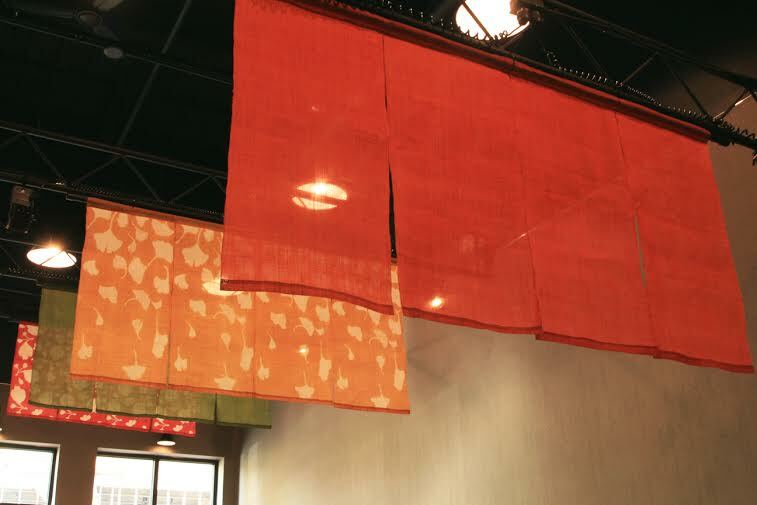 Colored patterns on the Noren banners were designed by the owner, and hand-fabricated and dyed in Kyoto Japan.